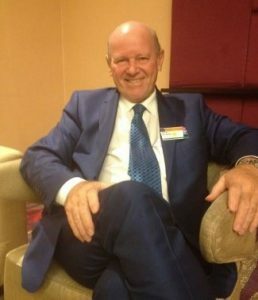 Bangkok (Thailand) – April 28, 2017 (travelindex.com) – individual nations should work together as a community in order to achieve sustainable tourism, said Alain St Ange, the Republic of Seychelles’ candidate for secretary-general of the United Nations World Tourism Organisation (UNWTO). He said the biggest challenges of today’s travel and tourism industry were safety and security. “We need to bring all countries of the world together. Today, Singapore, [the] USA, Australia, Great Britain and more are not [members of the] UNWTO. We need everybody around the same table because we have only one tourism industry. “We can talk and plan together to ensure that tourism continues to be consolidated. They should be involved as the community of nations to address together any tourism-related issue,” St Ange said. St Ange is one of six candidates for UNWTO secretary-general. The election will be held on May 12 at the organisation’s headquarters in Madrid, and will be voted on by ministers of tourism from 34 countries. Besides St Ange from Seychelles, the other candidates are from Zimbabwe, also in Africa, Brazil and Colombia in South America, Georgia and South Korea. St Ange also said individual nations should work together to promote the development of sustainable tourism. “Another point is that the UNWTO’s Madrid office should be decentralised, and then to have UNWTO offices in different regions around the world. Like here in Asia, Thailand should have an office of UNWTO, similar in China,” he said. St Ange said that to consolidate tourism, a secretary-general of the world body was needed to become the facilitator for all ministers of tourism and, through those ministers, facilitator to the private sector. “To promote sustainable tourism, we [stakeholders] need to get involved in training, which is very important. It is not just in the area of service, but we need to understand tourism, and languages in particular. This will include more local [involvement in] the industry [which] will help [create] responsible tourism and provide more value for money,” he said. St Ange said the next step was to grow the tourism industry. Each region has its unique selling points, so the world must know about all of them. He said the UNWTO was not a marketing agency but had to find people in various regions “to work on behalf of UNWTO in the areas of communications, marketing and selling”. Finally, St Ange said the concept of “Tourism for All” had to be promoted, which means tourism without discrimination in terms of skin colour, gender, disabilities or sexual preference. All people should be treated and respected equally. Born on October 24, 1954, on the island of La Digue, St Ange spent much of his youth on his family’s agricultural estate, primarily dedicated to vanilla and coconut plantations, before pursuing his formal education at the Seychelles College on Mahe, the archipelago’s largest island. He later continued his studies in hotel management in Germany and tourism in France. Afterwards, St Ange held several positions in the hospitality field throughout Seychelles, the Channel Islands and Australia, eventually managing key properties in Seychelles and ending his resort-management days with Denis Private Island. In addition to his extensive experience in the hospitality industry, St Ange’s upbringing led him into politics, as his father, Karl St Ange, was an influential political figure during the early years of Seychelles’ independence. In 1979, Alain St Ange was elected as a member of the People’s Assembly for La Digue constituency for the Seychelles People’s Progressive Front. In 2002, he was elected as a member of the National Assembly for the Bel Air constituency for the Seychelles National Party. After that he was appointed as the country’s director of marketing in 2009, and in 2010, was promoted to chief executive of the Seychelles Tourism Board. In 2002, St Ange was elected as the first president of the Indian Ocean Vanilla Islands Regional Organisation, an affiliation comprising island nations in the Indian Ocean, aimed at forming a new tourism destination brand. That same year, he was also named by then-Seychelles president James Michel as the minister of tourism and culture. In 2013, while tourism minister, St Ange was elected by the Commission of the Africa Region (CAF) as member of the executive council of the UNWTO, with his term ending in 2017. If St Ange attains the position of secretary-general, he will be the first African UNWTO leader.